As part of our series about the contribution of Women in Aerospace, SpaceFlight Insider interviewed Dr. Jeanette Jo Epps, a CIA intelligence officer and current NASA astronaut preparing for her first mission into space. Epps is uncertain when that first space mission will occur, but she is excited about it just the same. She represents the next generation of astronauts, those who might ride NASA’s new super heavy-lift booster to orbit—and beyond. As a woman and an African-American, she demonstrates that the U.S. space program has come a long way since its beginnings in the late 1950s. As a child, Epps did not think that she could become an astronaut, but she did have her sights set on becoming an aerospace engineer. Epps never felt that being a female or a minority has ever held her back. She relayed to SpaceFlight Insider how her mother raised her to work hard, do her best, and believe that anything is possible. Epps holds a Master of Science degree and a Ph.D. in aerospace engineering from the University of Maryland. It was there that she learned about research, materials and aerospace engineering. In college, she was persuaded to work in the motor craft group instead of more traditional aerospace activities. She never regretted it. “It was one of the best things I did,” she said. That led her to work at the Ford Company as an engineer, after which she put her engineering skills to work at the CIA and started to apply to NASA as an astronaut. 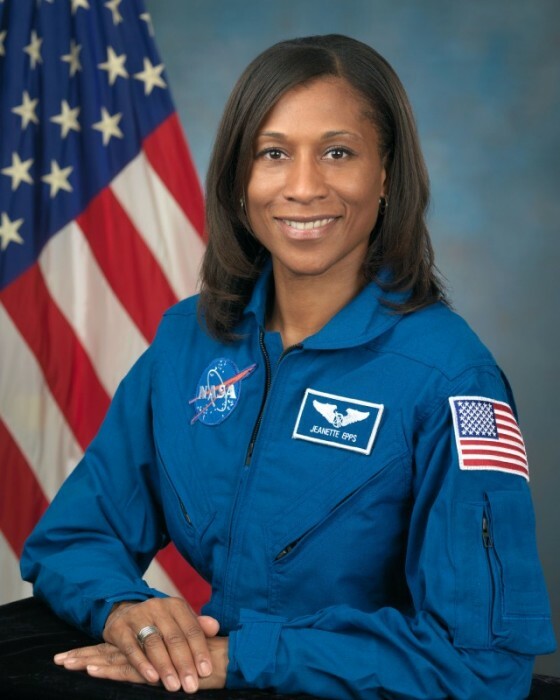 Epps was selected as an astronaut candidate in June of 2009. She was one of 14 astronauts who began training in NASA’s Astronaut Group 20 (The Chumps) in August 2009, they officially graduated as astronauts on November 4, 2011. 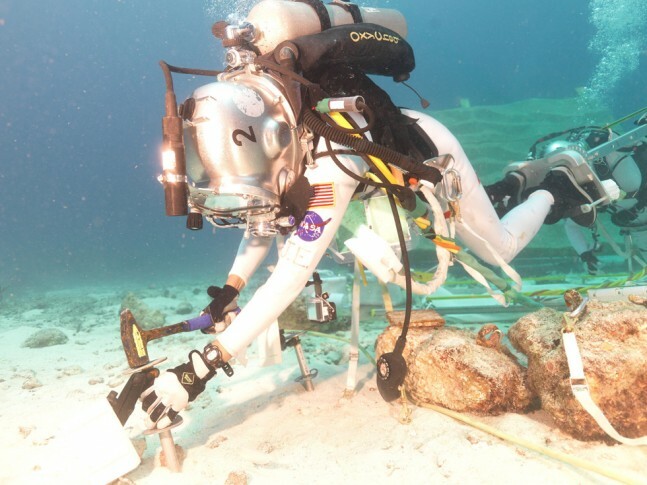 Last year on July 21, 2014, Epps started a nine-day mission to “inner” space, under the sea, as part of NASA’s Extreme Environment Mission Operations (NEEMO) project, NEEMO 18. She feels that this experience is effective preparation for space travel. She spent those nine days with five other crew members, the typical approximate crew size for an ISS or deep space mission, simulating operations in space. Communication is also set on a delay, the same type of delay experienced by astronauts in space talking to Earth-based operators. Epps explained that upon completion of the mission, the aquanauts required a 17-hour decompression in order to return to the surface, known as “splash-up”. They accomplished this by closing the lab’s hatch and changing the pressure in the lab over the 17 hours to that of the surface. Once this was complete, they returned it back to the pressure for about 60 foot under. At this point, the buildup of nitrogen in their blood had returned to normal, so they could reopen the hatch and return to the surface as if the made only a short 60 foot dive—no further decompression was needed. This June, Epps will be going to Russia to engage in the Russian emergent program, to learn the Russian language. Epps says she doesn’t want to just learn Russian, but to become fluent in it. In the meantime, she continues to train and work. 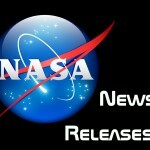 Epps looks forward to future, in hopes that NASA will select her for an upcoming mission to space. In December 2014, she attended the launch of first flight of NASA’s new crew-rated spacecraft, Orion, on Exploration Flight Test 1. “It was amazing to see! Very cool,” said Epps. Epps says she competes with herself every day to keep her grades high, her training relevant and her skills sharp. She knows that she needs to be at the top of her game to be ready when NASA gives her the nod. This series was originally written by USA in Space for SpaceFlight Insider and was edited and published by SpaceFlight Insider. It is republished here with their permission.